Until their recent 18×2 tools started turning heads, Makita didn’t seem to get a lot of credit in the US and Europe. 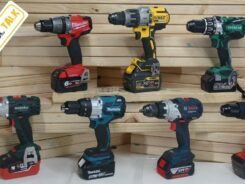 But here in Australia, Makita has completely dominated the power tool scene for decades, cordless and electric (Note: Milwaukee cordless has drawn level in recent years). 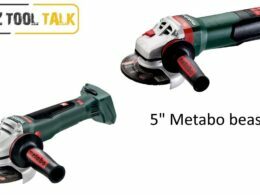 Makita have almost had a monopoly on woodworking tools such as circular saws, planers and in particular routers. So it comes as no surprise to me that Makita have released a truly spectacular cordless router/trimmer. The DTR50 is a brushless 18V 1/4″ unit, modeled closely on their electric trimmer. And make no mistake about it, is has the power of an electric trimmer too. Our testing included deep 10 mm trenching and full depth rebating, not only in pine but also in hard Kwila timber. The router has overload protection, but you’ll struggle to make it kick in. A plunge base and an offset base are also available for this tool. But it is not a perfect tool. The screw for attaching the dust shroud is inexcusably long. It has far too many threads, so that it takes much too long to fix or remove. The second drawback is a double edged sword. The super easy depth-locking mechanism allows gross adjustment in the depth, and such an easy base removal. But is also makes it rather difficult to achieve accurate fine depth adjustment. The best way to achieve a fine adjustment is to lay the unit on it’s side so that the weight of the tool doesn’t work against the user. Overall, I think this is one of the best cordless tools out at the moment.